We are happy to announce the call for papers for the 36th annual Humanities and Technology Association Conference. The main track for this year’s conference will be Technology and Politics. Papers are particularly welcome that address the democratization of science and technology; political ecology and digital activism; hyperobjectivities and technological mediations; biopolitics, including macro- and micro-biopolitics; technology of subjectivities, including the techno-politics of sexuality; surveillance technologies; digital policing and technologies of warfare (cyber, drone, etc. ); gene technology and human engineering; GMOs, food security, and food sovereignty; the politics and polities of transhumanism and posthumanism; postmodern techno-science. TECHNOLOGY AND SOCIAL LIFE: topics will deal with questions such as: does technology enable new/destroy old forms of social life; advance/hinder gender equality; raise/diminish standards of living and economic well-being; suggest/force human adaptations to technological environments? Following in the virtual footsteps of Tupac Shakur, at the SXSW festival last weekend Japanese musical icon Yoshiki used a hologram not just in an attempt to add a little flair to his performance, but to indulge those fans who can’t quite get enough of him. 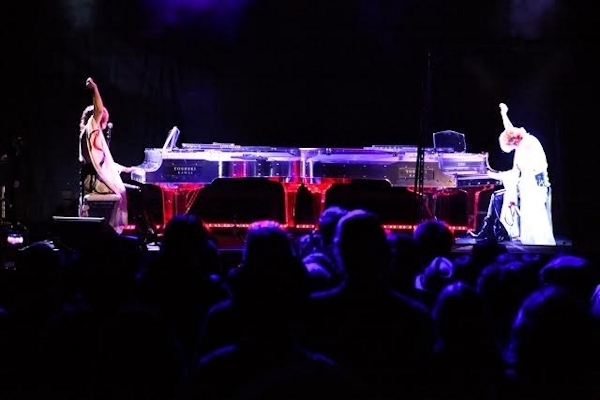 Yoshiki, a musician, songwriter, composer, record producer, front man of heavy-metal band X Japan and classical soloist, appeared on stage at the music and technology festival to a rousing reception and proceeded to sit himself at one end of a double piano. Intelligent virtual agents (IVAs) are interactive characters that exhibit human-like qualities and communicate with humans or with each other using natural human modalities such as facial expressions, speech and gesture. They are capable of real-time perception, cognition and action that allow them to participate in dynamic social environments. IVA 2014 is an interdisciplinary annual conference and the main leading scientific forum for presenting research on modeling, developing, and evaluating intelligent virtual agents with a focus on communicative abilities and social behavior. In addition to presentations on theoretical issues, the conference encourages the showcasing of working applications. Researchers from the fields of human-human and human-robot interaction are also encouraged to share work with a relevance to intelligent virtual agents. SPECIAL TOPIC: “Virtual Agents in Healthcare”. NAGASAKI–A new 3-D imaging display system allowing viewers to experience the devastation of Nagasaki immediately after the 1945 atomic bombing opened here on March 3. 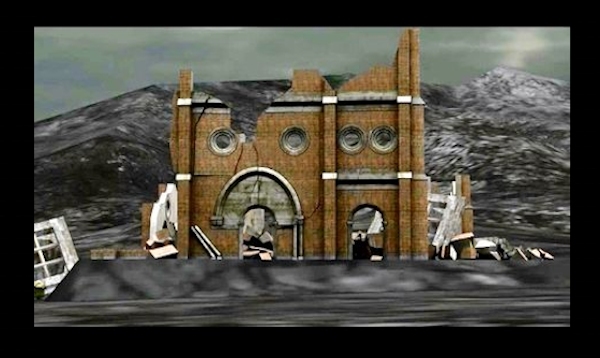 Virtual Genshiya (Virtual atomic wasteland), developed by Takashi Fujiki, a professor of technology education at Nagasaki University, uses computer graphics to give viewers a panoramic view of a 500-meter radius of ground zero just after the blast. By submitting a paper the authors confirm that their papers represent original previously unpublished work, and if accepted, the author will register for the conference and present the papers. Virtual Worlds are information spaces and communities that immensely augment the way we interact, participate and receive information throughout the world. Virtual Worlds seriously impact our lives and the evolution of the world economy by taking such forms as social networking services, 3D shared virtual communities, and massively multiplayer online role-playing games. This symposium will focus on emotions in artificial intelligence, a topic of increasing interest in many areas of research and development. Do AI emotions need to look like human emotions? Are emotions in AI “real” or only simulated? 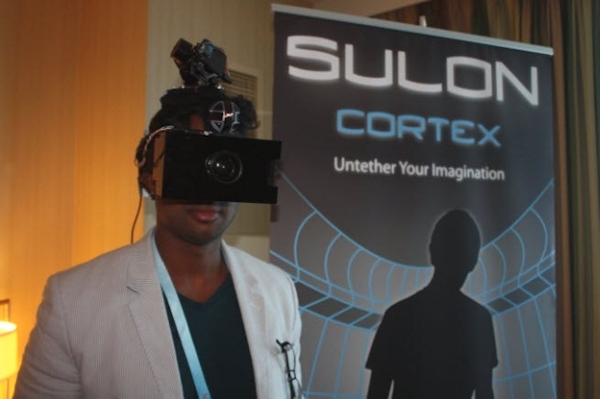 Sulon Technologies is unveiling a new kind virtual reality platform that will turn any room into a fanciful virtual space. Sulon is showing off its demo of The Cortex virtual reality “spatial gaming” platform at the Game Developers Conference in San Francisco. In doing so, the company is trying to win over the hearts of game developers in what is becoming a fierce competitive battle to define the next generation of gaming. Competitors include Oculus VR and new entrant Sony, which announced its Project Morpheus at the GDC on Tuesday evening. The Toronto company has taken a different approach from other kinds of virtual reality, said Dhanushan (Dhan) Balachandreswaran, chief executive of the firm. You wear a headset with goggles that cover your eyes. It then uses magnetic technology to detect the borders of the room. It can then take game imagery and virtually paint those images onto the walls of the real room. So it’s like layering a fantasy world on top of the real world. Rethinking History: The Journal of Theory and Practice seeks paper proposals for a theme issue devoted to the topic of ‘Authenticity’. These concerns are reflected in scholarship across the humanities and social sciences. In historical theory, the linguistic turn in effect accused historical practitioners of an act of imposture, for obfuscating the categorical difference between their writing and the reality it purported to represent. Reactions against these charges frequently embody a yearning to recuperate that reality, whether through the advocacy of affective, somatic and materialist turns or in the search for the enduring ‘presence’ of the past. Relatedly, Marnie Hughes-Warrington recently brought into focus various forms of forgery, deception, prescription, appropriation and outright denial in her exploration of the genre of Revisionist Histories (2013). In memory studies, the issue is central, and engaged in diverse ways. On the one hand, technological change has engendered new forms of representation and modes of immersive display which produce ‘prosthetic’ memories, deeply-felt emotional and affective connections to pasts which were not directly experienced. On the other hand, and stimulated especially by the imminent passing of the generations that lived through the Second World War and the Holocaust, there is a proliferation of concepts such as ‘post-memory’, ‘secondary witnessing’ and ‘vicarious trauma’, seeking to grasp how a traumatic heritage might be transmitted beyond the span of living memory. Meanwhile, practices of ‘second-order’ or ‘mimetic’ remembrance flourish, whether in the ‘virtual Jewish’ renaissance in post-Holocaust, post-Cold War, Eastern Europe, historical re-enactment or video games. Simultaneously, across varied domains of cultural, scientific and literary theory, speculation rages about the ethical, political and aesthetic implications of the ‘posthuman’ future, as traditional notions of human selfhood – of consciousness, intelligence and mortality – are challenged by cyborgisation and looming environmental catastrophe. Such examples could be endlessly multiplied. Rethinking History has previously published work touching on some of the problems entailed here, including themed issues on ‘reenactment’ (11:3 2007), ‘uncertain knowledge’ (18:1 2014) and ‘historical justice’ (forthcoming 2014). We now want to curate a focused yet wide-ranging and multi-disciplinary interrogation of the notion of ‘authenticity’. What precursors and antecedents can we discern for these contemporary anxieties? How is ‘authenticity’ being redefined and challenged today by technological changes and intellectual shifts? What is at stake in social, cultural and political terms in these transactions, and in our desire to retain a secure grip on the real? How should we reflexively diagnose our contemporary obsession with the possibilities and perils of ‘authenticity’? Colin Angle is co-founder and CEO of iRobot in Bedford, Mass. The company recently created a brushless version of the Roomba vacuum, and this week released a telepresent robot called Ava 500. Its Packbots will also look for bombs at the football World Cup in Brazil this year. 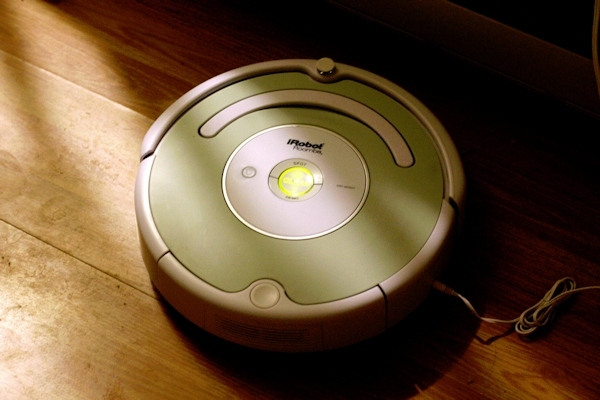 Celeste Biever: People dress up Roomba vacuum cleaners. Soldiers mourn bomb-disposal Packbots. Are these responses to your robots a surprise? CB: Do you sympathize with that personally?